The legalization of cannabis in Canada introduces many societal changes and preparing yourself for these changes is important. While cannabis impairment differs from the effects of alcohol, there are similar fines and consequences involved if you drive under the influence of cannabis. 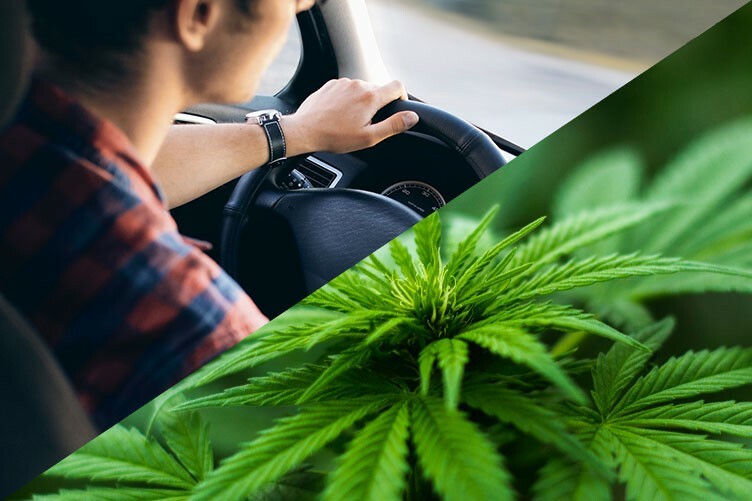 This article will provide you with all the main points of interest in order to help you understand how cannabis affects your ability to drive, and the risks involved. How does cannabis affect your driving? A lot of what you know about alcohol impaired driving applies to legal cannabis use as well. Cannabis, illegal drugs, over-the-counter and prescription medications can all affect your judgment, time it takes to react, motor skills and coordination. When you drive high, your risk of crashing more than doubles, even small amounts, no matter how they are taken, can affect your ability to drive. Impaired driving means operating a vehicle (including cars, trucks, boats, snowmobiles and off-road vehicles) while your ability to do so has been compromised by consuming alcohol, cannabis, other drugs, or a combination of each. How does this affect medical cannabis users? If you have been authorized by a healthcare professional to use cannabis or other types of medication, it is your responsibility to ensure it does not impair you while driving. What are the regulations for all fully licensed drivers? If you injure or kill anyone, these penalties increase significantly, from two years to life in prison. Less than 5 nanograms but over 2.5 nanograms will face a fine of up to $1,000. If police determine that you are driving while impaired by any drug (including illegal drugs, cannabis, prescription, and over-the-counter medications), you will face severe consequences and criminal charges. What does this mean for commercial drivers? Drivers of vehicles requiring an A-F class licence, vehicles requiring a Commercial Vehicle Operator’s Registration (CVOR) and road building machines will be prohibited from having any presence of alcohol or cannabis in their system when behind the wheel of these types of vehicles. All other commercial drivers face a zero tolerance requirement and, although they face both fines and licence suspensions, their suspensions are limited to three days (unless convicted in court). If you are operating a commercial vehicle and police determine that you have cannabis or alcohol in your system and/or you are impaired by any substance including illegal drugs, prescription drugs or over-the counter medications, you will face severe consequences and potential criminal charges. Learn more about Impaired Driving from the Ontario Government’s Ministry of Transportation.